On 19 January, American B-2 stealth bombers destroyed two ISIS camps approximately 44 km south-west of Sirte, dropping more than 100 precision-guided bombs on the targets. On 21 January, a VBIED exploded near the Italian embassy in Tripoli. 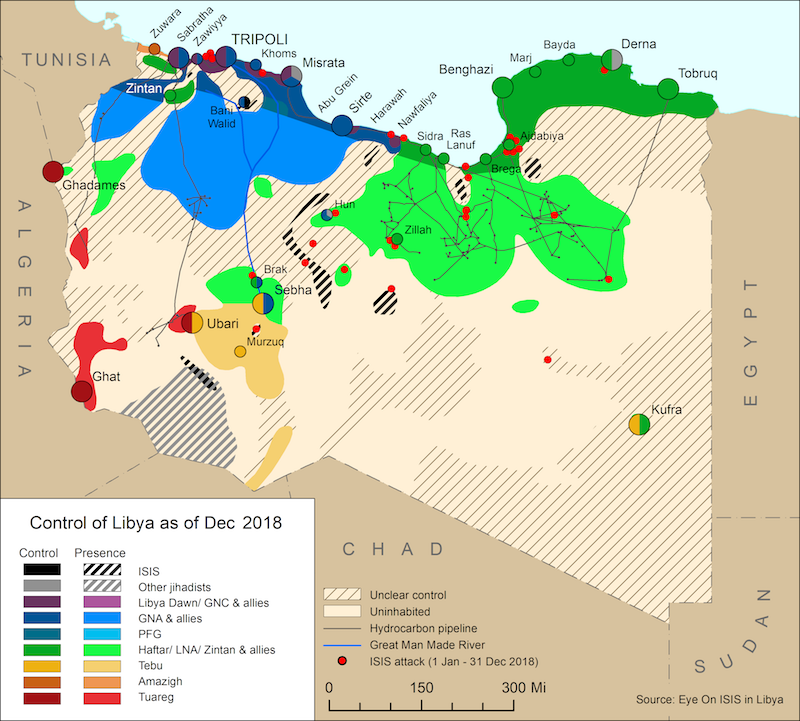 On 16 January, the head of the Libyan National Army (LNA)’s Operation Dignity command centre, Brig Abdussalam al-Hassi, announced the full takeover of Abu Saneeb area of Benghazi from the coalition of jihadis after the LNA continued its advance in Abu Saneeb with air support. LNA operations also resumed last week with airstrikes against the Derna Shura Mujahedeen Council (DMSC). 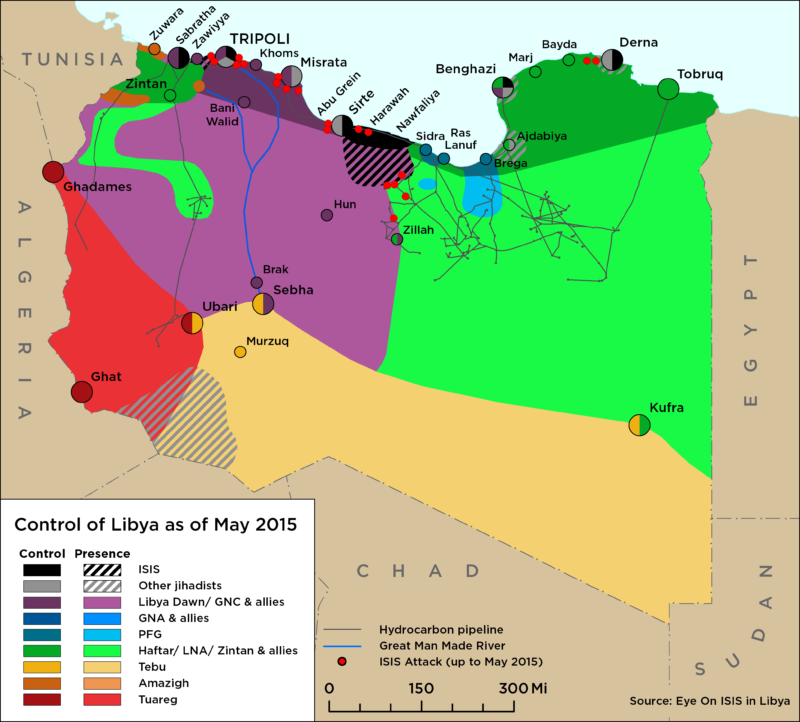 In Tripoli, sporadic clashes took place last week between various militias affiliated with the Government of National Accord (GNA), and other hard-line anti-Haftar, Islamist militias nominally loyal to Khalifa al-Ghwell. Ghniwa’s forces attempted to retake control of the Ministry of Labor buildings at Hadba near the Military Academy buildings. The MoL building was taken over by al-Ghwell’s militias last week in an attempted ‘coup’.